This looks like a fun recipe to try. Great pictures and directions! I have read recipes for streudel that sound similar, but I have never tried them. 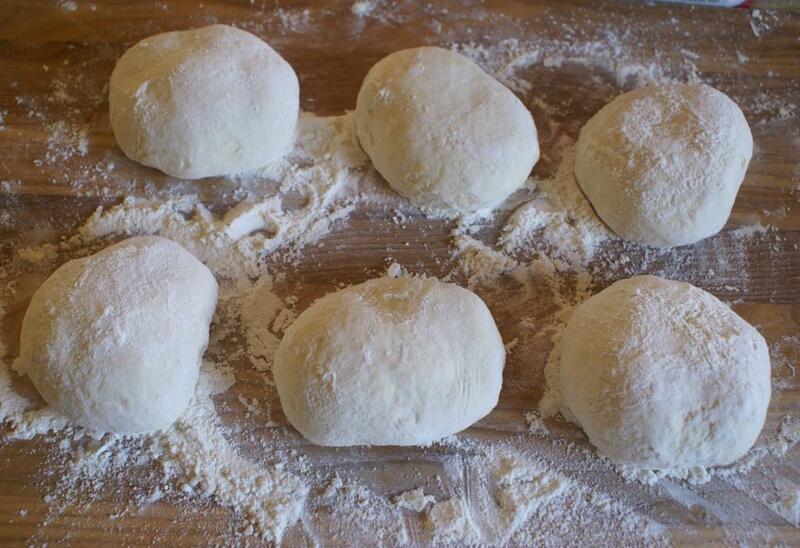 Could this dough be used for sweet fillings? And do you have any favorites? Thanks so much! 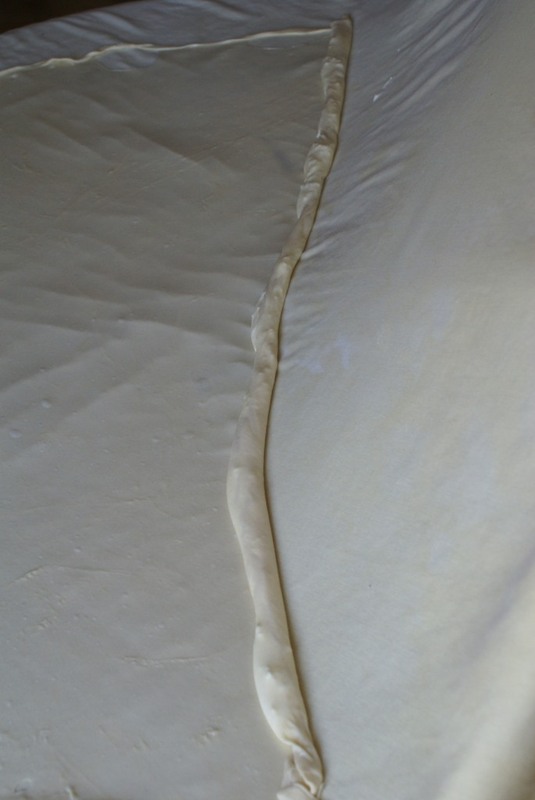 For sweet fillings I would recommend using the strudel dough which contains egg and is little richer than this one, but this one can be used as well just reduce the amount of salt. Wow, wow, wow. 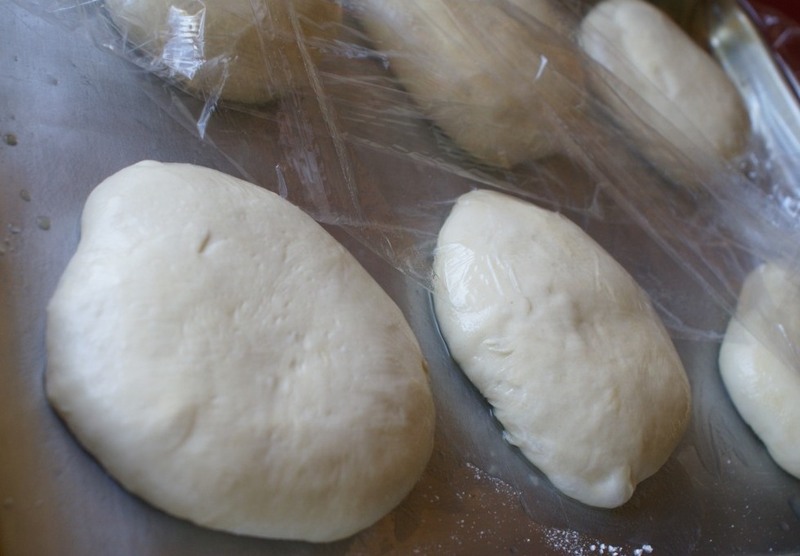 I did try this once but it was a disaster (and in my defense, it was a recipe that said “add as much water as needed to make dough”–not a recipe for novices). I will have to try again, hopefully I will get something half as nice as yours. Usually I make phyllo without measuring until I get the right ‘feel’ of the dough in my hands, but this time I measured everything and it should work well. If you make it, please let me know how it turns out! Enjoy your weekend! wow! we are so in each other’s heads! 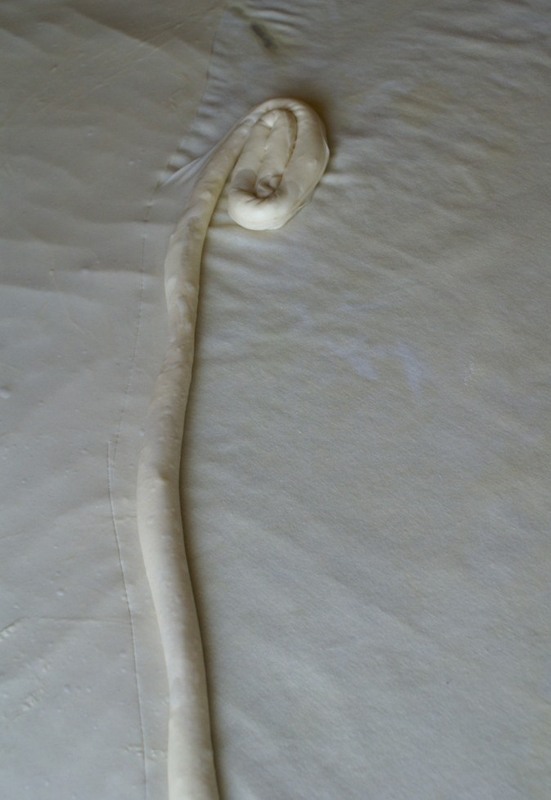 I just finished a post on handmade phyllo dough for Greek onion pie!! It won’t go up on my blog for a few weeks because I have so many recipes backed up. But I show the rolling pin technique. I did that earlier this week and then last night I used storebought phyllo to make leek-and-cheese pie, spinach-and-cheese pie, and pumpkin pie! I also do them wound up in spirals like that (called strifta in Greece) but for the handmade I did it in a pan so at least my post won’t be an exact copy of yours hahaha!!! mine should post around april 10 I think. 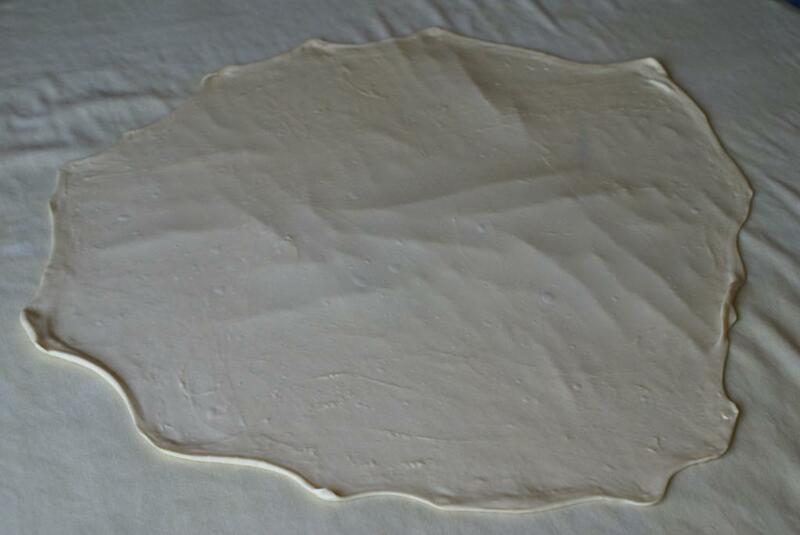 Hey, you know this old saying “Great minds think alike!” :))) I am excited to see your version of the phyllo dough. 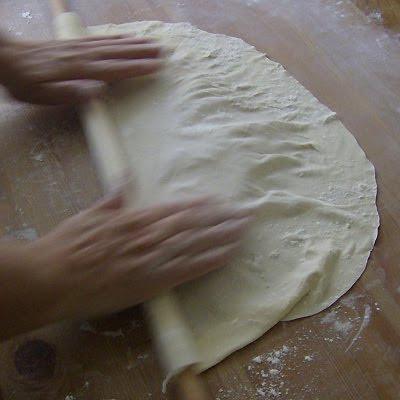 When I first learned to make it I was with the rolling pin. This is the only way my Grandma would make it. 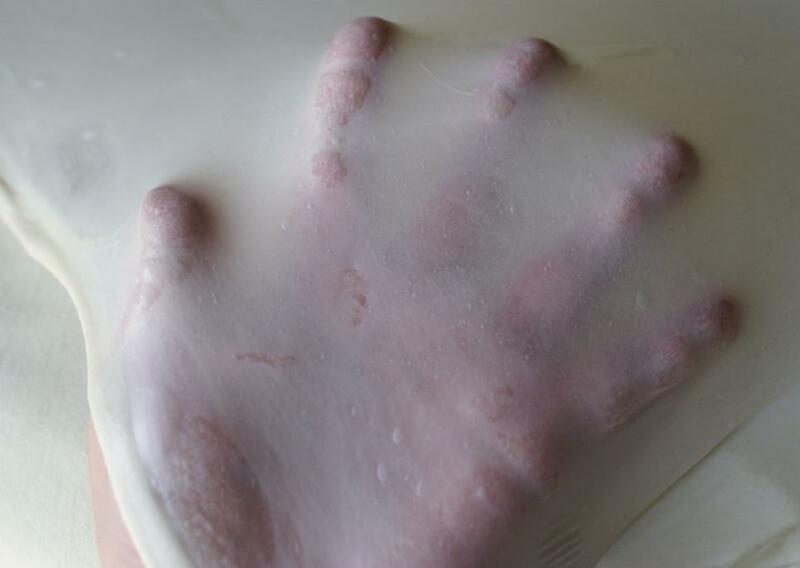 Later I learned to stretch it and it is somewhat easier. Once I watched a travel show about Greece and they showed a small shop where a man was making phyllo dough by hand and he was filling it with cheese and sugar. It looked absoultely perfect! Can’t wait for your post! Awww Munira, thanks so much! I just love to bake, that is all to it! 🙂 I wish we could sit together over some tea and cake and just talk and enjoy ourselves! 🙂 Joyous weekend to you friend! You probably know how we feel in Greece for phyllo and how extensively we use it! And the “ready to get married” joke is quite common 🙂 Great job! Thanks for stopping by Villy, have a wonderful weekend! Thanks so much April! 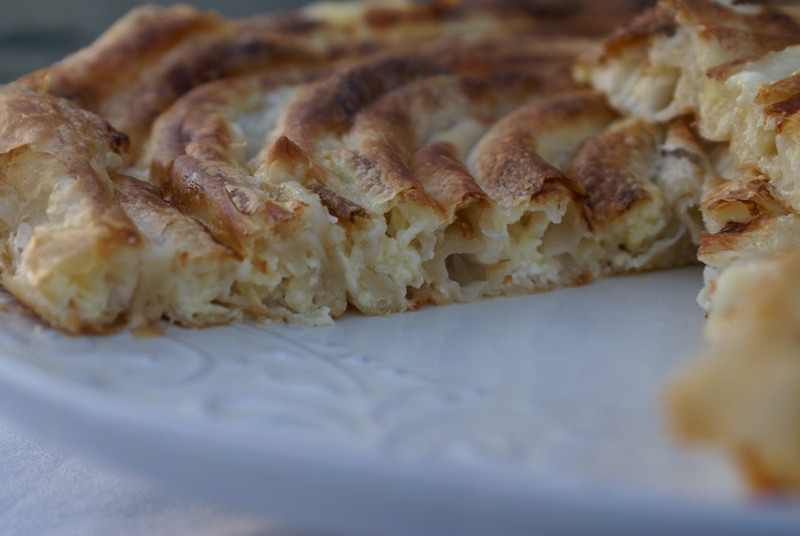 Pita is truly one of my favorite traditional Bosnian foods! Wow that looks so delicious! 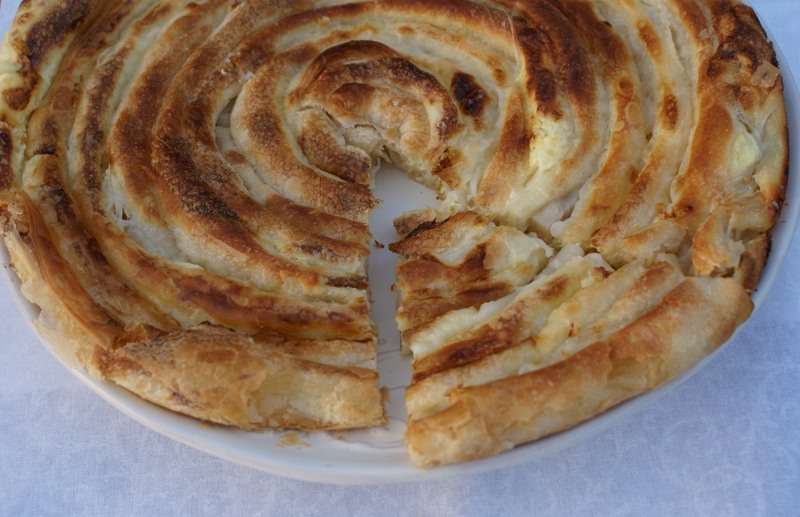 Burek was definitely one of my favourite foods from Bosnia 🙂 will have to give making a go some time, you’ve inspired me! Wow, Sibella, this looks fantastic! 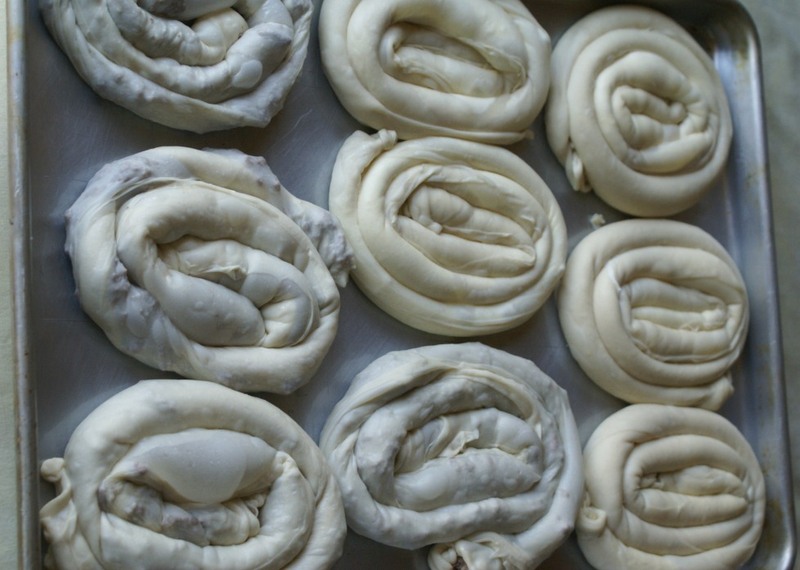 I made phyllo dough and baklava last year and my goodness was it ever a project! But you’re right, it was pretty worth it – it tasted fantastic. I’m amazed at how thin and GIGANTIC your phyllo sheets are! And I love the swirly shapes, I bet they get lovely and crisp in the oven. Just beautiful. Thanks for sharing! Thanks Korena! I try to make pita once a month since we all love it. It is really the best right out of the oven, golden and crispy! 🙂 Baklava I usually make just once a year since it’s even more time consuming (I let the phyllo sheets dry a little before using for baklava). Wow! Beautiful, looks delicious as well! You are deff not lazy! Haha, yes I’ve been married for 18 years and still making phyllo! 😛 The whole process is very time consuming, but I am so used to it that it isn’t a big deal anymore. My hope is that people will learn how to make so it is not left forgotten in the past. Bobbi, thanks for posting it on Pinterest! Have a wonderful weekend! 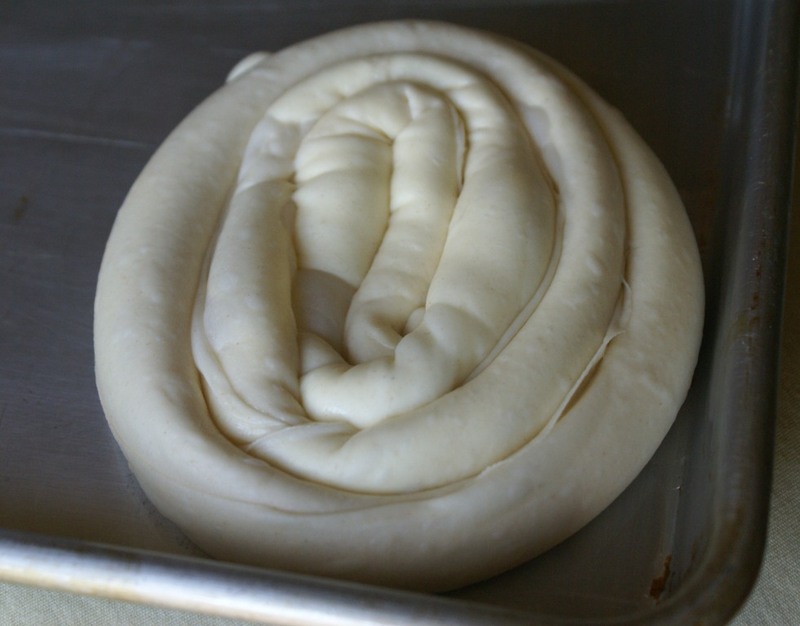 I can’t believe you make your own phyllo dough!!!! I know how much work that must be. Phyllo is soooo thin. I’m very impressed. It’s a wonderful tradition and I agree, these things must not be lost. It’s just hard to find the time. I’m glad you shared. You have been nominated for the Liebster Blog Award! Awww, I am truly honored! 🙂 THANK YOU SO VERY MUCH! 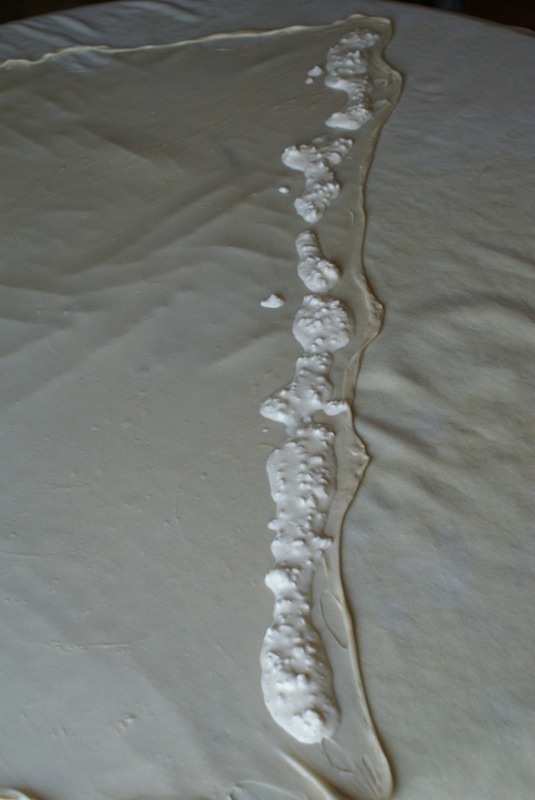 Wow, this is so impressive, Sibella, I wouldn’t even imagine it was possible to make phyllo from scratch! Beautiful work and great photos as well! Thanks Smidge! 🙂 Phyllo has been made for generations in my native Bosnia, also in Greece and Turkey. Since its very time consuming it is not made as often at home anymore… I just love the whole process of making it! It’s the kind of thing to spend a quiet day home alone with great music on, I think! Oh that looks just fabulous! Will do. Although not much time anytime soon, but will keep you informed. 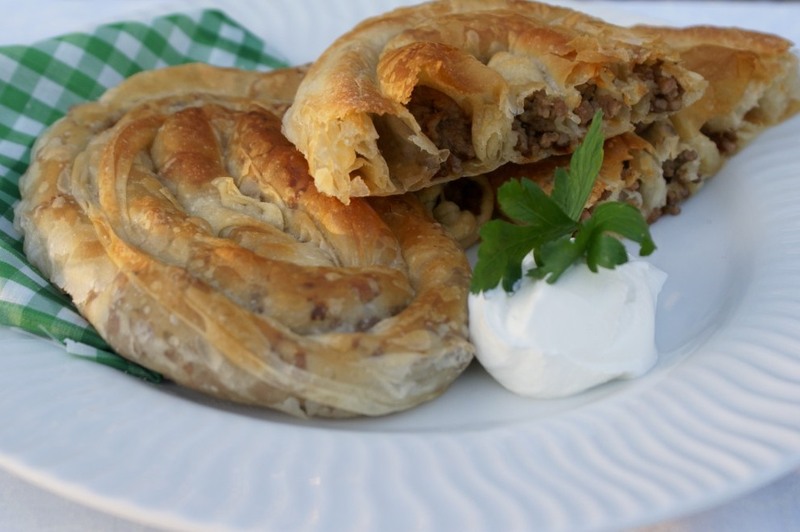 I just realized – so the Bosnian word for phyllo is jufka – in this part of Greece (close to the Bulgarian border), they call the local type of pasta gioufkadia (pronounced yoof-kah-dya), I guess it’s from the same word. I had wondered about that because it’s not a Greek word and it’s not used in the rest of Greece. I like the way how You explain it about jufka.Every time I try to make it…well it is not so thin.You are right about flour(will try King Artur). Thanks so much Merima! 🙂 Keep practicing and you will get there! 🙂 Hvala ti puno na posjeti! Wow! How clever you are… I’m sure it is the sort of thing you need lots of practice with but it looks so wonderful! Hello Lois, thanks for stopping by! Yes, you’re right! 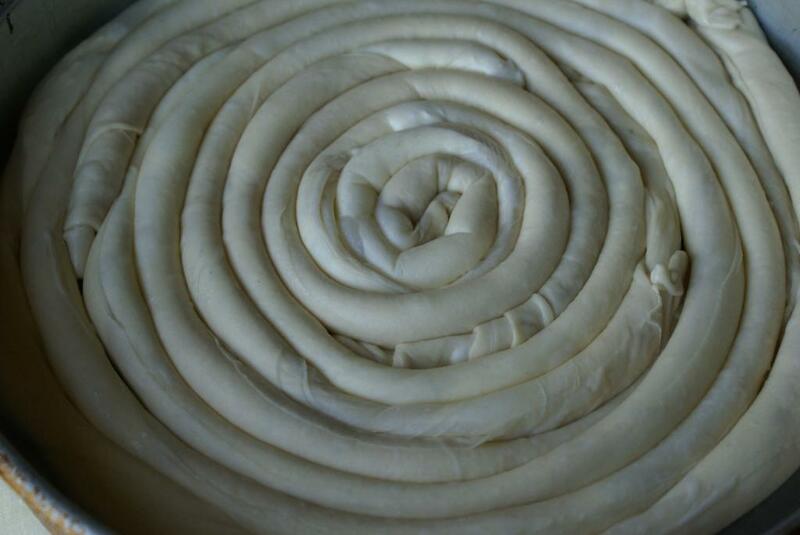 Phyllo dough requires a lot of practice, but once you get a hang of it, it becomes a routine. As with most things practice, practice, practice! Hey Sibella! Kako si?! i just wanted to let you know that i ADORE YOU! i have been looking forever for a recipe of pita! Me myself I am from the Netherlands but i know a lot about the Bosnian country food and people. And i must say i pretty much adore everything about this country especially the FOOD! I have been there myself a couple of times (in Mostar) with a bosnian family i lived with at that time. I always watched when the women were cooking but my insecurity always dominated when i wanted to make pita. I do make several dishes which i remembered how they made it like razljevak, sarma, dolma, japrak, cevapi i lepinja, ustipke and a few more 🙂 Anyways, so i looked up on youtube and googled so many recipes and did found some how to make pito but they sounded or to easy or it was the bosnian language itself which made it too hard for me to understand to process of making pita. and i know how important this dish is in Bosnia and i know it’s definately not the easiest thing to make so i was always waiting for the right moment and recipe to make this right! To make a long story short haha then you came along and you’ve created a smile on my face like i haven’t had in a long time! i gave it a try the next day and guess what IT CAME OUT SO GOOD!! 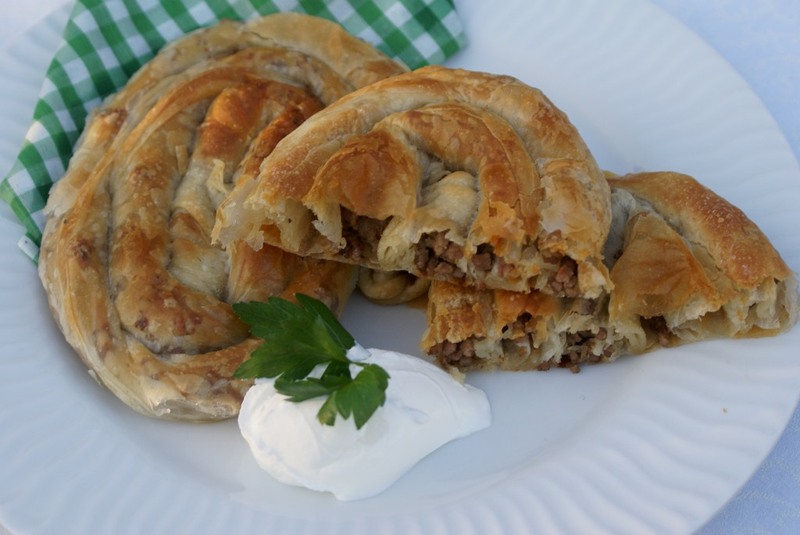 i prefer pita krompiruša and sirnica so i made those and they came out delicious. Obviously i have a lot of practicing to do on the stretching and the skills so i can save time but i am soooo happy i finally know how to make this. I live in the states now and i have lost contact with the bosnian family a few years ago unfortunately, so thats why i never knew how to make it. So thanks again and i must say all your recipes are amazing! Keep on doing the amazing job! So nice to meet you! Thanks for visiting and I am so glad that you were able to use my recipe and make pita. 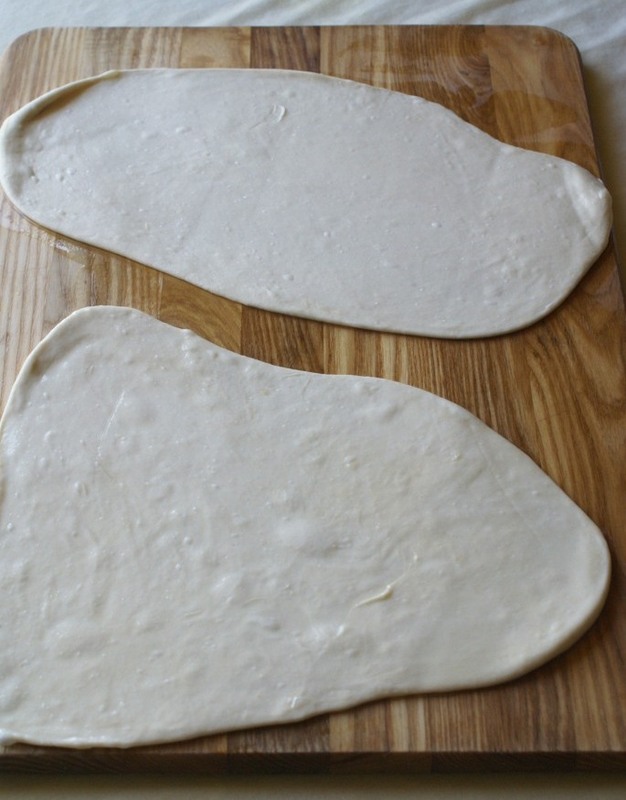 I know it’s not easy at all and it takes a lot of time and practice to produce a perfect pita. Keep working on it! 😀 I try to make pita for my family at least once a month and they really love it. I mostly cook Bosnian food at home! I’ve tried many different cuisines, but always go back to my Bosnian roots. I have a really great recipe for cevapi, but it is my friends’ family recipe (they used to own a butcher shop in Prijedor) and so far she didn’t allow me to post it online. But, I will keep asking! Again, I am very glad to meet you and thanks so much for writing! hey Sibella. I understand about the cevapi recipe hehe, if its a family recipe it kinda should stay within the family huh, lucky u they share it with you though!! I adore cevapcici, I make my own ajvar and fresh lepina with it too! i like my ajvar with a kick to it so i make it a little more spicy and its sooo good. I really miss living in europe when it comes to cooking, because i am so used of the products over there and over here in the USA everything is so different but everyday i learn new things and i find new products which come pretty close to the products i used back in europe. In holland i always went to a turkish supermarket where they sell a lot of bosnian products as well (its almost a bosnian supermarket hehe if you wouldnt know it was turkish haha) I love to buy stuff there like argeta (don’t know if u ever had it i think u will have! ), and the cheeses and also sandwichmeats like Poli :):):) its sooo good and i miss it sooo much haha. I did found these products online but it is too expensive with shipping but like i said i keep finding out new substitutes and they come pretty close. I hope i will get to take my family one day to bosnia and show them what i experienced and how amazing the culture, people and FOOD is. It is definately one of my favorite countries so i can imagine u stick to your roots and be proud of where u come from! Goodluck also with your paintings, i love that you are so creative and that you want to share it with other people! Keep on doing the amazing job! If didn’t know that you are Dutch, I would think you are Bosnian, LOL! I’ve been living in the US for past 14 years and I still miss European products. Since here where I live we have a large Bosnian community, one Arabic store orders a whole lot Bosnian products, such as argeta, poli, ajvar, jams, cookies, kajmak, etc. etc. I hope I will be able to travel to Bosnia next summer. I haven’t been there since 2010. It is so very nice to meet you Elke! I have made this. A friend from Bosnia taught me. She came to the US as a refugee wheBill Clinton was preside.I did think she added yeast. What do you think? Just amazing! I have always believed it impossible to make phyllo at home. You have clearly disproved that mistaken belief. Thanks for sharing your recipe, technique, and – as always – your beautiful images. Thank you very much Darryl! 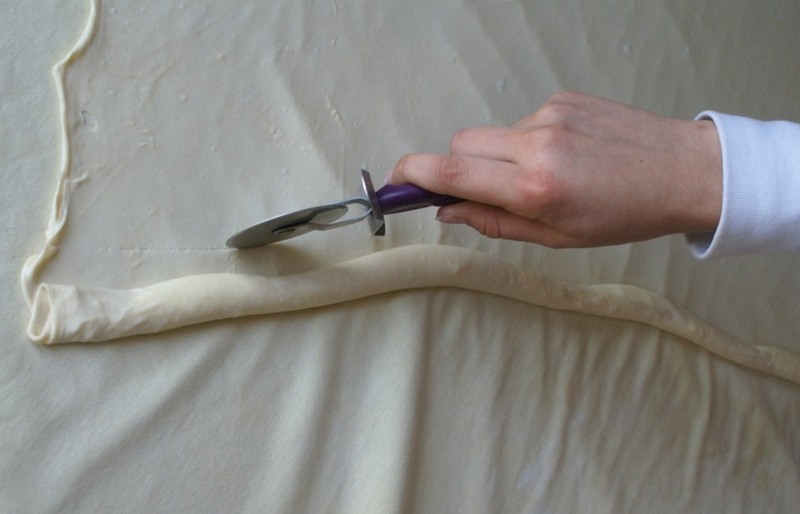 In my homeland, making homemade phyllo dough has been a tradition and something that you really want to learn and pass it on to your children. It takes time and A LOT of practice, but results are out of this world.